Ever since Hailey and I ate at FIG a few months ago and were served a miniature budino, I can't say the word "budino" without putting "baby" in front of it. Baby Budino. 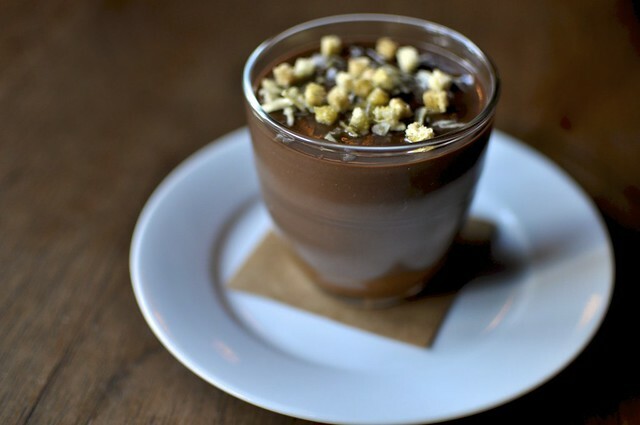 This is Mike Lata's chocolate hazelnut (baby) budino that I shot for New York Magazine's food blog Grubstreet, for their article on America's 101 Most Crazy-Awesome New Desserts. With super-dark chocolate and olive oil croutons, it's a sweet and salty dream team.